We took Dylan swimming the other week for the first time; it’s been something I’ve been looking forward to doing with him ever since he was born. I hadn’t quite thought about his outerwear until M&M Direct told me they did these Kangaroo Poo Baby Wraps and offered to send me one to try out with Dylan. Outerwear is a good idea as well as a baby swimming nappy because it gives you something to grip on to when you’re holding the baby in the pool. Anyone who’s held a baby in water without one will know what I’m on about. Putting it on him was quite simple, the whole wrap opens up allowing you to put it on him with ease. 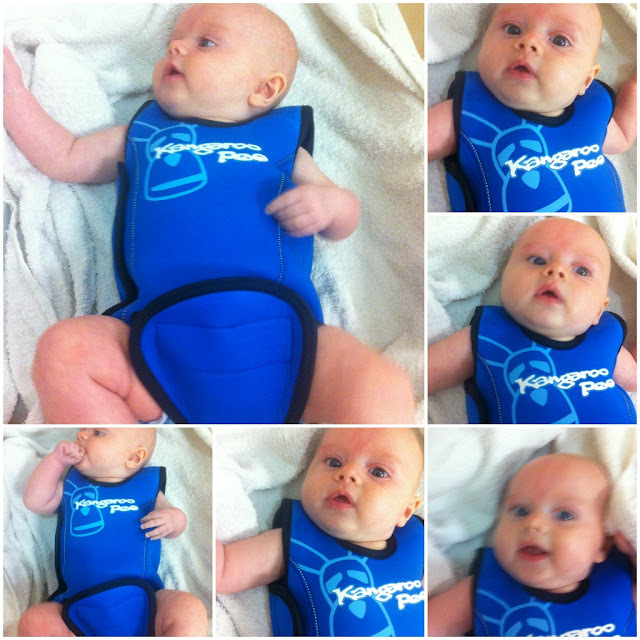 The velcro is rather strong so once on won’t come off until you take him off him at the end of the swimming session. It’s currently on sale for the bargain http://quotecorner.com/online-pharmacy.html price of £4.99 so now would be a very good time to snap one up if you’re pregnant or have just had a baby. It’s available in sizes 0-6 and 6-9 months, and there’s also a Board Angels Baby Girls Wrap available in pink. We all thoroughly enjoyed his first swim session, we knew it would be lots of fun as Dylan loves his baths and ever since day one has taken to splashing and giggling away while we washed him. Oli enjoyed to see his little brother in the water with him, and it showed him that babies could do the same things as him, even his swimming was coming on, and with both daddy and me in the water we were able to be one on one with both the kids. I can’t wait to take him swimming again this week.